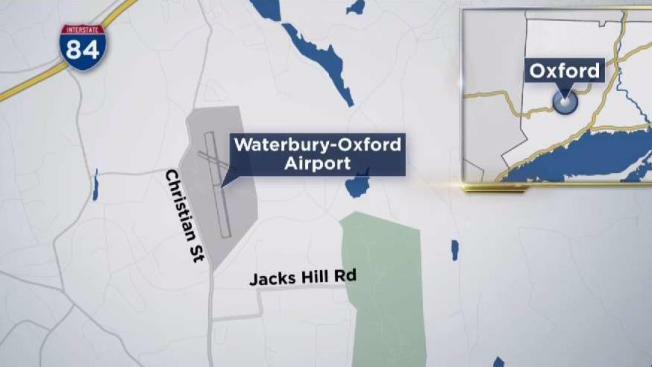 Police from several departments searched for a possible down airplane near Waterbury-Oxford Airport Friday morning after dispatchers lost contact with it, but the plane has been located at Robertson Field in Plainville and no injuries are reported. State police said earlier that they believed the four-seat plane might have landed elsewhere. “This morning at approximately 7:45 AM, a Cirrus aircraft had an interruption in communication with the Waterbury-Oxford Airport tower, prompting airport and emergency personnel to search the area for the aircraft. The aircraft was located at Robertson Field Airport in Plainville, where it had landed safely,” Kevin Dillon, executive director of the Connecticut Airport Authority, said in a statement. The small plane was located at 8:32 a.m., according to state police.